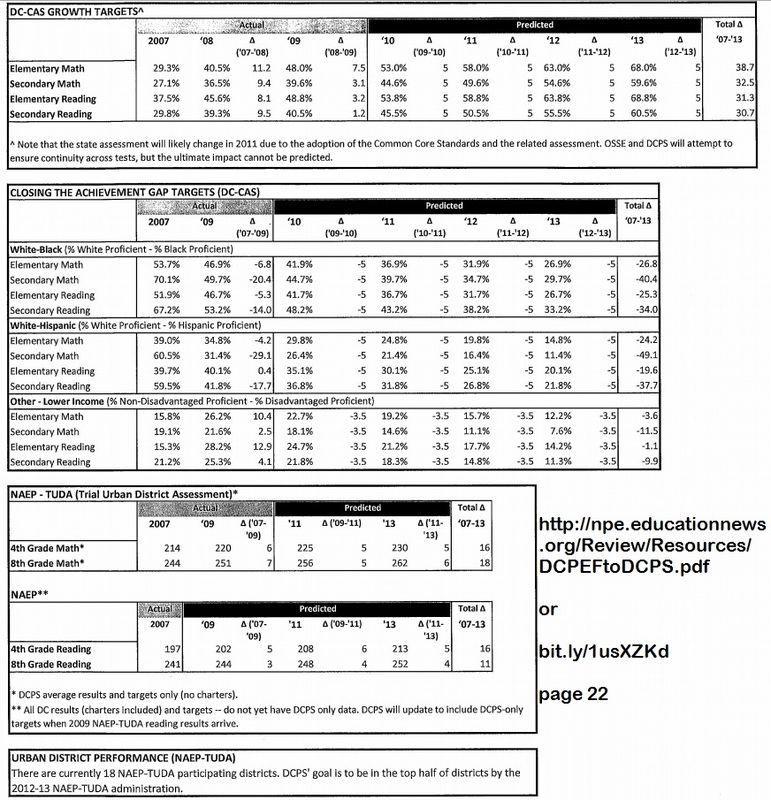 Did ANY of Michelle Rhee’s promises actually work in DC? Discover the truth about Michelle Rhee’s fraud and lies through the facts that do not lie when every fact is revealed—something the corporate owned and controlled media is ignoring. Rhee promised one thing and did not deliver on the VAST majority of those promises. Along the way, while Rhee was a wrecking ball in Washing DC’s public schools with blessings and lots of cash from the manufactured, for-profit, corporate, fake education reform movement, and support from two U.S. Presidents [G.W. Bush and Obama], she hurt and damaged many teachers and children besides wrecking some of those lives. You may recall that Michelle Rhee promised that she would produce miracles in Washington DC’s public schools if she got the money from various foundations and the freedom to fire teachers as she pleased. She and her hand-picked acolyte and successor, Kaya Henderson, certainly received all the money they asked for, and they stripped DCPS teachers of almost all protections from random firing. But did those achievement gains actually work? I’ll let you decide, by first letting you see the spreadsheet where Rhee et al. promised, in writing, what they would accomplish. Here is thelink to the original, so you can see I’m not making this up. It’s on page 22. That’s a lot of promises! !